Hosted in the cloud – public cloud and/or private cloud. Microsoft Exchange is the leading email and communication system for business. Most businesses start with a basic POP3 or IMAP email system. These standards are outdated and have a number of disadvantages, including lack of security and lack of replication. 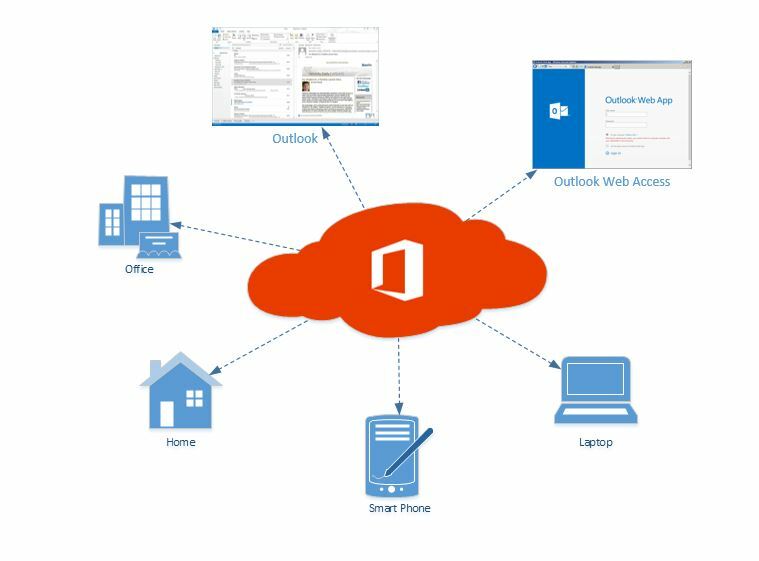 Microsoft Exchange is now available at a modest cost to suit all organisations from small business to global corporations. Exchange provides a true replicating database, so that any email activity that takes place on one of your devices will automatically and quickly be reflected on your other devices. For example, if you read, delete or move an email on your PC, this activity will automatically be repeated on your other devices. The Exchange Public Folders feature can enable document management and sharing. Global Address Book allows you to operate a company-wide contact database and distribution list.